Kuma has been doing well lately. He is turning into quite a handsome adolescent. Kuma. loves. the. snow. Even more than chasing birds! His mouthiness has decreased considerably, though he has his moments. Soon we will be making the dreaded appointment. Yep, almost time for Kuma to be neutered. He is just a week over 5 months, we figure we might is well do it earlier rather than later. 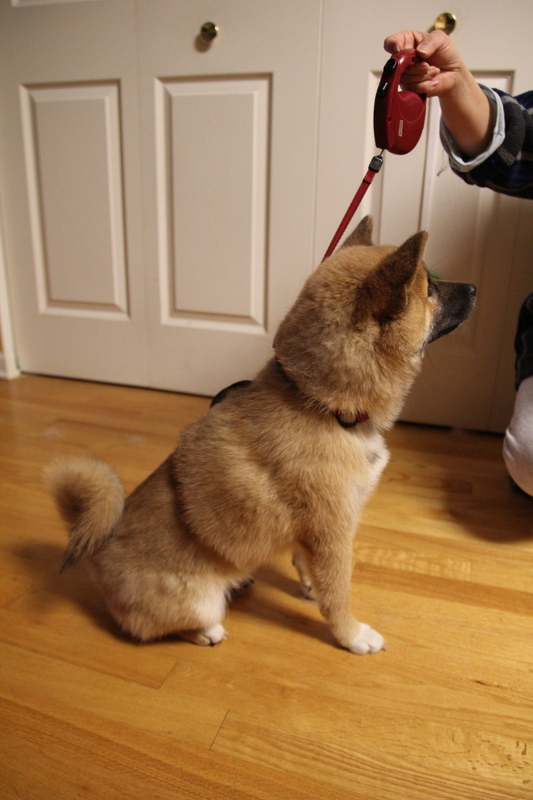 Kuma normally is a star student at puppy class, but this past week something strange happened. We were practicing loose leash walking/coming when called. He did fine when we practice this on his regular leash, he would come when called and get a treat. 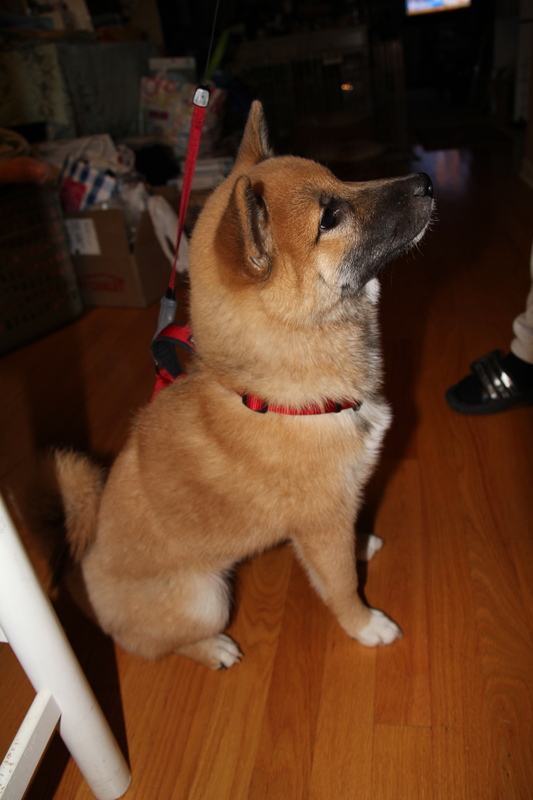 But, when the trainer switched Kuma’s leash with a 15 foot leash Kuma was VERY hesitant. He would not walk by himself with the long leash on. EVEN WITH TREATS PUT ON THE GROUND 10 feet in front of him. He walked fine on it when we held it and walked with him, but he refused to walk otherwise. The trainer said she was baffled. Any ideas?? 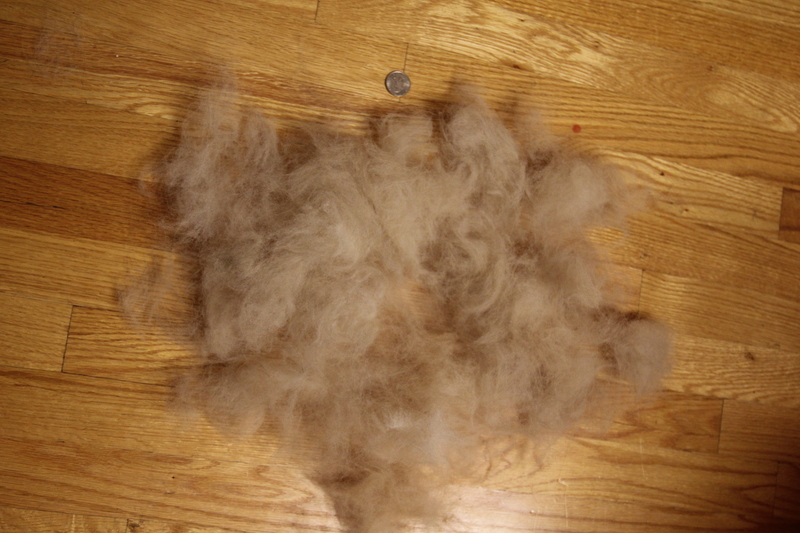 We recently bought “The Furminator”. WOW! Money well spent. 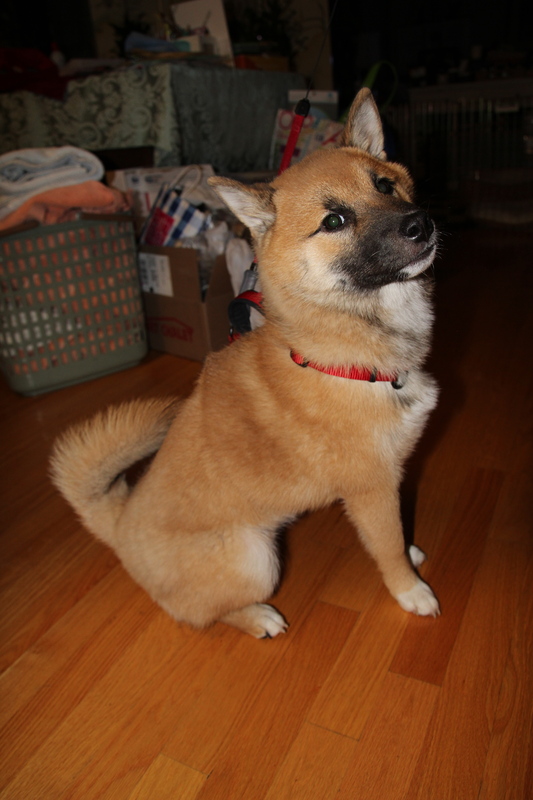 Its hard to tell in the before and after pictures, but Kuma looked completely different!